Through jewels, men express, today as yesterday, their identity, their status. Italsteel knows this and draws upon the ancestral call for courage and adventure in order to conquer the market. When we speak of precious items, the association is inevitable: jewels equal women. The web confirms this, so does magazines. One of the most difficult tasks, when thinking of man jewelry, is how to separate the two aspects of this axiom: “jewel” and “women”. Nevertheless, the intimacy that links these two words is, today more than ever, in danger. Apart from this, it is demonstrated that man jewelry has always existed, in parallel to woman jewelry. If we look at the past, ever since the time of the Egyptians and the Romans, men would wear jewels and precious items to demonstrate their social status and welfare. Once the reason for wearing jewels changed, new inspiration was found to interpret the new trends. While in the ancient world jewels were essentially worn as a symbol of ostentation and richness, at the beginning of the 19th century, more specifically, with the advent of pirates and privateers, jewels became a symbol of strength and courage, and a must for any adventurous man. 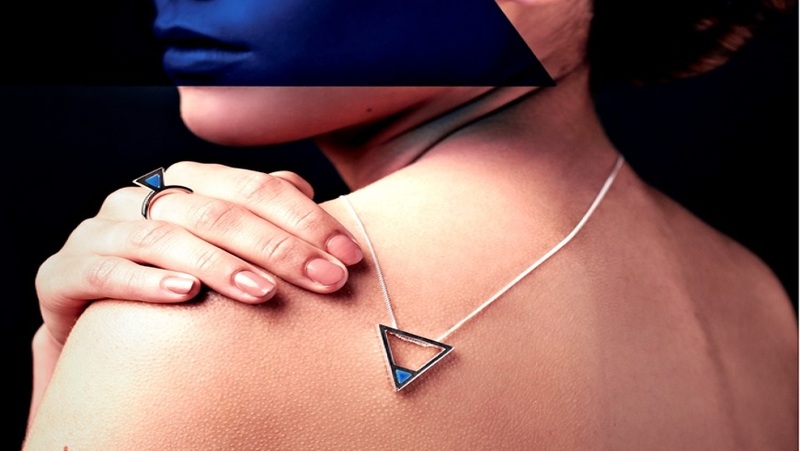 Here is a key to interpret modern man jewelry. Modern jewels for man are indeed “muscular” and intransigent. They are designed for those men who love to embellish their look and style by means of objects that express masculine beauty. Research, together with the use of technological materials, molds collections which are absolutely modern, and which, at the same time, address the most masculine, decisive, energetic values of our past. Such jewels are “masculine” from all points of view: they are strong, courageous, modern, shameless, and elegant at the same time, able to provide those who wear them with a distinctive trait, which marks the personal style all men would love to have in their life. 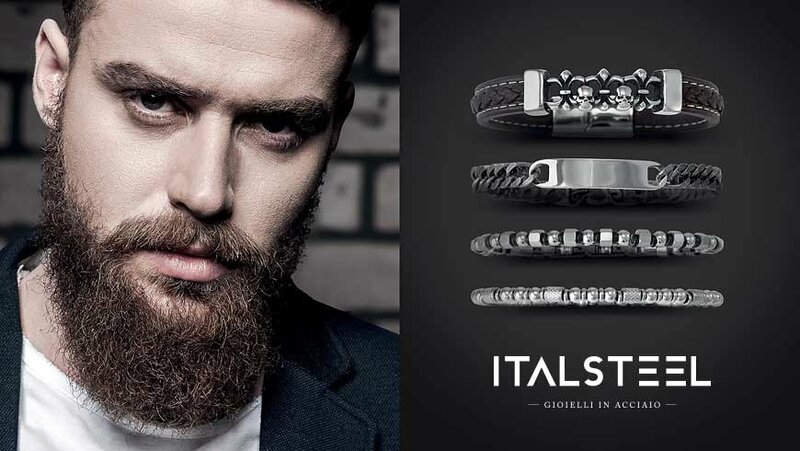 By interpreting in the best way possible the different Italian and international trends over the years and for each season, Italsteel was able to find its commercial and productive balance point in the creation of man jewels in steel; the added value fully lies in the design and ability to identify beforehand the constantly-evolving fashion’s signals. The new rebellious rules for man jewels play a fundamental role in the expression of our most intimate personality. Italsteel’s ability consists exactly in this: transforming each single piece into a refined and classy detail, which at the same time, due to the use of materials such as metal and wood, emanates some sort of tribal and wild taste. “Today’s man is more and more vain – explain Alessandro Mafucci and Fabrizio Angiolini. 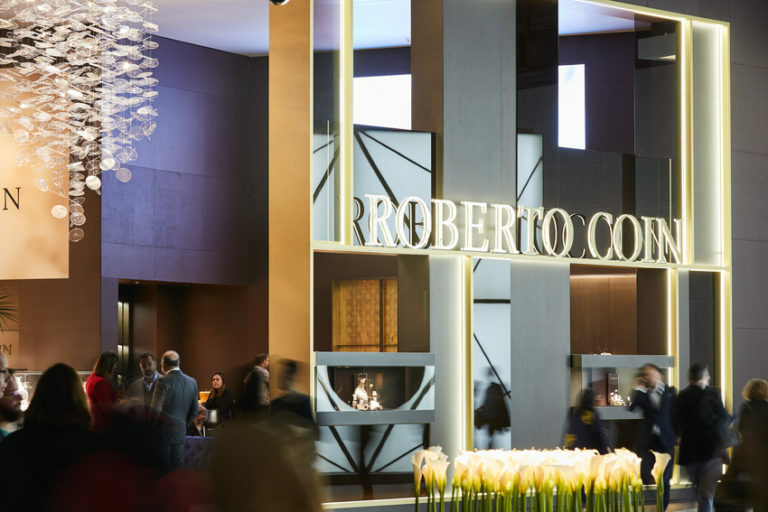 It is difficult to identify man jewelry general trends: every market, every country has specific peculiarities, which can differ a lot. For example, the classic leather bracelet, tight and with a metal plate, is highly appreciated in Spain as much as in Italy. Germany prefers bigger size leather bracelets, while France shows much more preference for steel cable bracelets".